FREE AMMONIA 160 PXT PPM MAX. MELTING POINT 132 DEGREES CEN. GRANULOMETRY: (GRANULES SIZE) 2mm to 4.75mm 90% min. 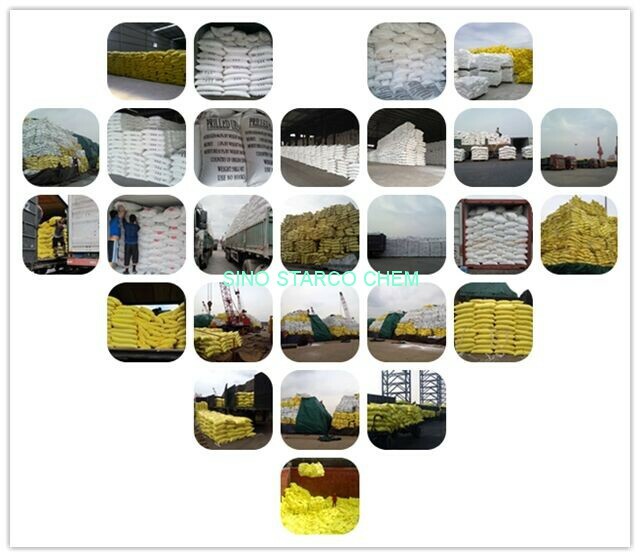 Good Quality ,Competitive Price, Excellent Service, Our Urea has been sold to Japan, Korea, USA, Australia, Bangladesh, Malaysia, Indonesia, Thailand, Philippines, Vietnam, Sri Lanka , Africa, and European with high quality and competitive price. 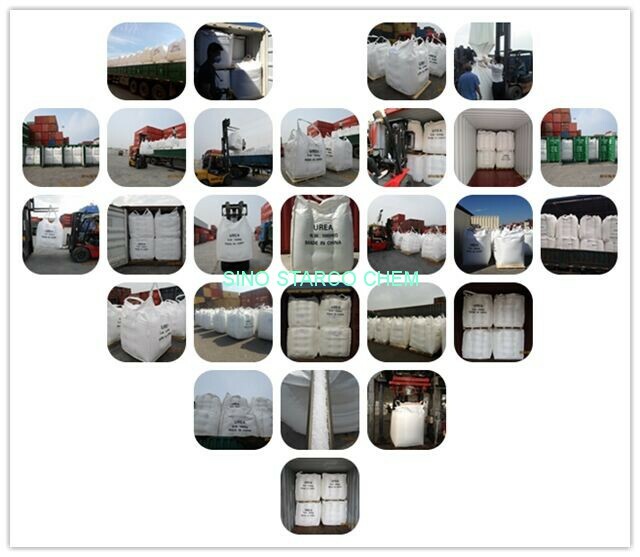 All kind of our urea packing. 9.5kg/50kg/500kg/850kg/900kg/1000kg/bulk. All kind of urea export. 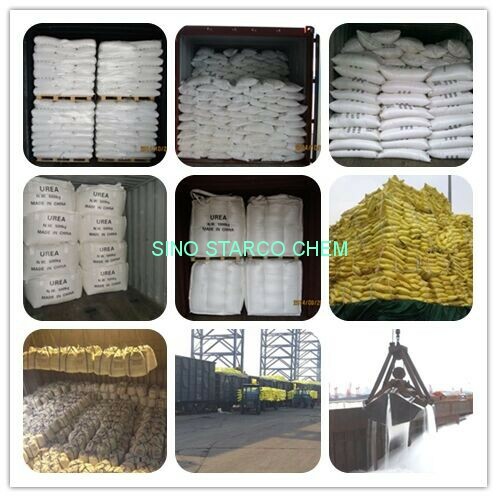 China urea Export by container or bulk ship. China Urea in 1000kgs bag packing. prill/prilled/prills urea Industrial grade urea, DEF grade urea,Automotive Grade Urea. 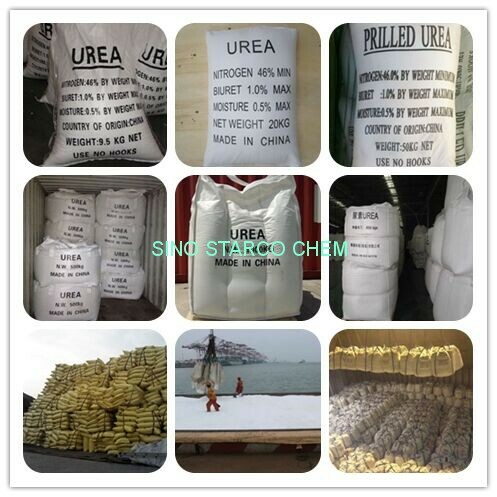 Urea in 50kg bag packing.China Urea in 50kg bag packing export. Urea is produced commercially from two raw materials, ammonia and carbon dioxide. Large quantities of carbon dioxide are produced during the manufacture of ammonia from coal or from hydrocarbons such as natural gas and petroleum derived raw materials. This allows direct synthesis of urea from these raw materials. Urea has a number of advantages over other nitrogen fertilizers. 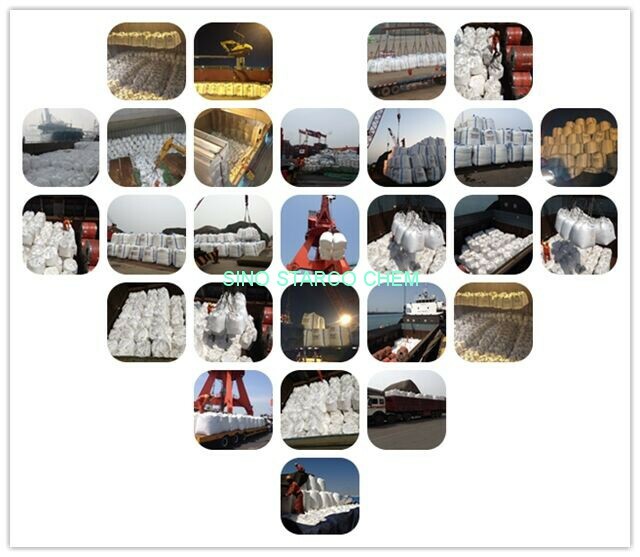 Urea is safer to ship and handle, it is less corrosive to equipment, it has a higher analysis than any other dry nitrogen fertilizer and it can be used on virtually all crops. Urea can be stored and distributed through conventional systems. It can be applied in many different ways from sophisticated aerial application equipment to a farm spreading urea by hand. Urea is also highly water soluble so it moves readily into the soil. The high analysis means a reduced transportation and application cost per kilogram of nitrogen. It is generally supplied in prills or crystals/grains. Although the colour of urea is white but the crystals are larger than prills. Solid urea is marketed as prills or granules. The advantage of prills is that in general they can be produced more cheaply than granules which, because of their narrower particle size distribution have an advantage over prills if applied mechanically to the soil. Properties such as impact strength, crushing strength and free-flowing behaviour are particularly important in product handling, storage and bulk transportation.